Rediff.com » Business » Now, Tatas plan to do a Nano with power! Now, Tatas plan to do a Nano with power! First they came up with the Tata Nano. Then Swach, a low-cost water purifier. This was followed by a low-cost housing programme. 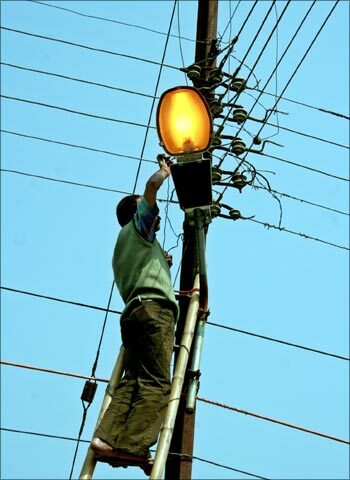 Now the Tata Group is planning to repeat the success in the power sector. 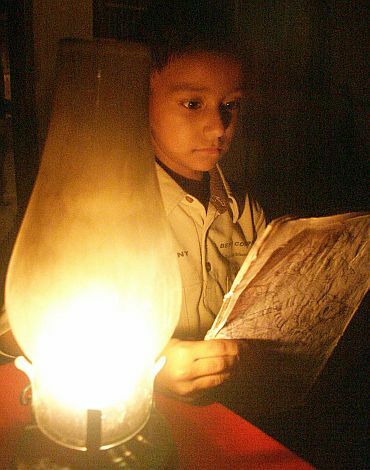 Tata Power, India's largest private sector power company, is considering several low-cost solutions to the severe power shortage experienced across the country. The company is set to test a 2 kwh (kilowatt per hour) micro wind turbine that is one of the smallest in the world. A 60 watt light bulb for one hour consumes 0.06 kilowatt hours (kwh) of electricity and the wind turbine will have the capacity to power a small home for the entire day. To top it, the turbine can be mounted on rooftops. If that doesn't sound innovative enough, how about generating power from rice husk as fuel? Tata Power will install a 250 kw power generation system that will run on rice husk at the Tata hydro power plant near Karjat in Maharashtra. The company hopes to get this pilot project up and running by the end of the year. "Our objective is to establish a model for rural India that can have mass usage at low cost. We still feel that decentralised biomass-based solutions are a good option to power rural India," said Prasad Menon, managing director of Tata Power. "However, aggregation of biomass remains a challenge that needs to be effectively addressed." "That is the reason why Tata Power is looking at hydro, waste gases, wind, solar, and geothermal as the future green power avenues," he said. The company is also looking at green technologies like enhanced geothermal systems and coal beneficiation to use on a large commercial scale. Like the 'micro' wind turbine project, the company will also experiment with a 35 kw wind turbine mounted on a blimp that will float 333 metres above the ground. 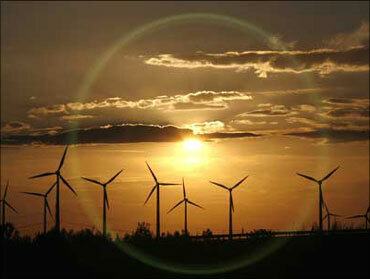 The concept of a high altitude wind turbine is to catch the winds that are more intense and sustained at that height. Tata Power, which holds 49 per cent stake in the joint venture Tata BP Solar, which is India's largest solar company in India, is setting up a concentrated photo voltaic (C-PV) 13.5kw pilot unit on the Walwhan lake in Maharashtra. In this technology, sun rays are concentrated on PV cells and are cooled to generate power. If successful, this technology can be scaled up across all lakes that provide hydro power to Tata plants in west Maharashtra, generating about 1,000 mega watt, said company sources. 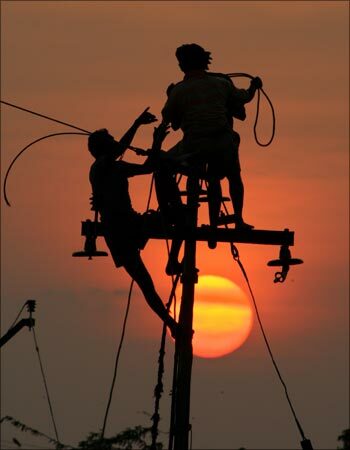 India has about 50,000 telecom towers which are run on diesel gensets that provide power to their antennaes. So far, Tata BP Solar has successfully implemented solar powered telecom towers in about 25 installations, replacing diesel powered gensets. The company has also electrified about 500 remote rural bank branches across several banks, including Bank of Baroda, Bank of India and at many rural co-operative banks. The Tatas are also planning a mega solar initiative, to start from within the group itself. 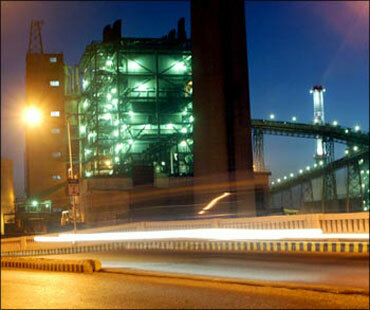 Tata Power has installed about 20 Mw of solar power, utilising the roof tops of other Tata Group companies. Tata Group companies, numbering over 100 and with numerous plants and offices worldwide, may switch over to solar power. "Our preliminary study shows that there is substantial potential to exploit this opportunity from within the group itself and are currently working on it and implement the same as soon as the overall policy framework is in place," said Menon. The company is in the process of setting up a 3 Mw photovoltaic grid connected plant in Mulshi in the Western Ghats. This will be one of the largest grid-connected solar plants in Maharashtra. Further, it is also implementing a 50 Mw plant in Mithapur in Gujarat, which will be the largest single solar photovoltaic installation in the country. Tata Power terms these initiatives as part of its sustainability agenda, as the company has set an ambitious target of cutting its carbon footprint by half within 15 years and turning carbon neutral by 2050.